Beautiful birds are passing through North America that in some places, such as Iowa, you can see only in spring in fall. 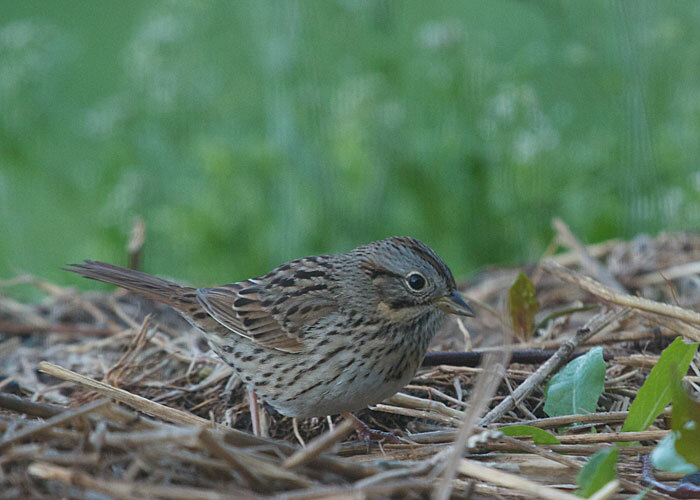 Like the timid Lincoln's sparrow. If you weren't quite awake you might pass it off as a song sparrow. But the thin white eyering, delicately streaked breast, and wash of faint buff across the top of the chest reveal it to be Lincoln's sparrow, my favorite sparrow. It is a good thing to be awake on a May morning in North America. The Sibley Backyard Birding Flashcards are the size and shape of playing cards, with that firm, snappy feel. 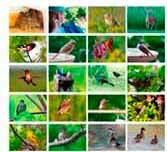 These cards include 100 common North American birds. One side has the picture of the bird (without the name), and the other side shows the name, map, and a description. Really fun to test yourself on your birds or learn them in the first place! It's of high interest to kids, and it will help an adult who would like to develop an interest in birds as something to share with a beloved child or grandchild.